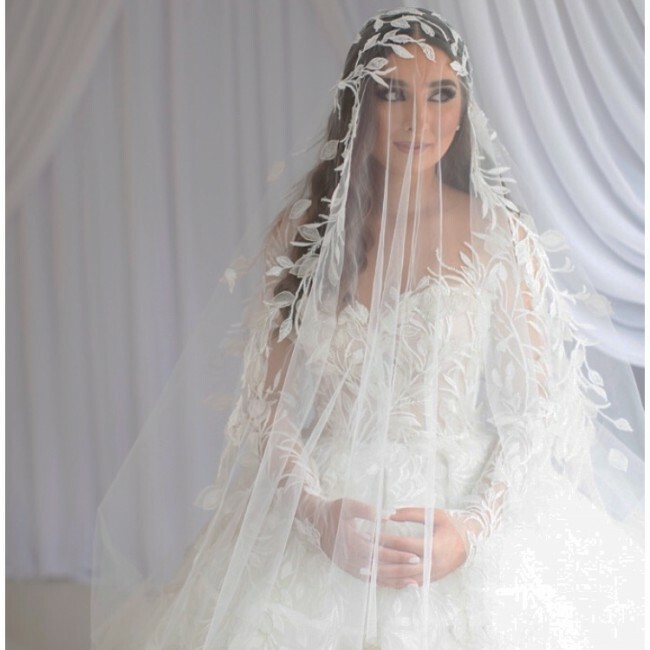 This dress includes the veil and a matching Maria Elena headpiece from the same fabric. (Message for photos of the headpiece). Once you send a message, Georgette can invite you to purchase the dress.